The Colorado Rockies lineup is filled with young stars, and more than a couple months into the season three of them are setting the pace at the plate in MLB. 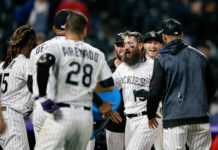 Leadoff man Charlie Blackmon is playing stellar baseball through the month of June, owning a batting average of .301 – 10th among National League outfielders. To pair with his impressive batting average is his league-leading active on base streak of 32 games. In the last 28 days Blackmon owns a batting average of .330 and an OBP. of .398. #Rockies outfielder Charlie Blackmon has the longest active on-base streak in the Majors at 32 games. 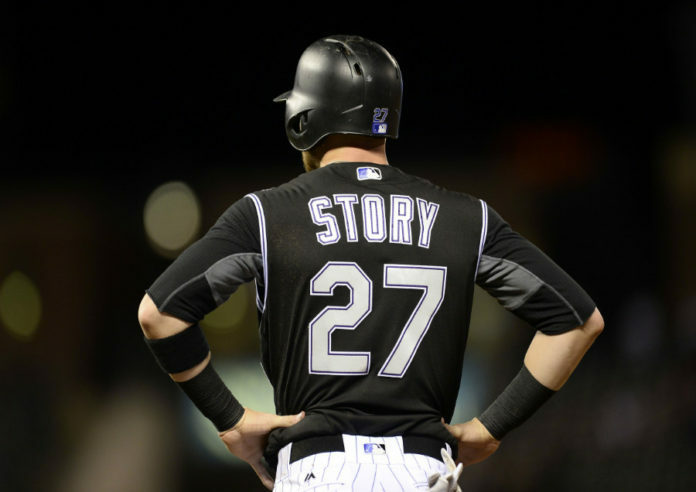 Next in the books is rookie phenom Trevor Story. Story took the baseball world by storm early in the season with a barrage of balls he hit out of just about every ballpark he visited. Even though the home runs are not coming as often as they were to start the season, he has still managed to slash his way through the record books. Story’s 16 home runs are the most hit by any shortstop in their rookie season prior to the All-Star break, dating back to 1933 when they started tracking the stat. Story still has more than a month to add to that total. He currently holds a two home run lead over Los Angeles Dodgers rookie shortstop Corey Seager. Capping the list of Rockies who are pacing the league so far in 2016 is All-Star shortstop Nolan Arenado. Last year’s NL leader in home runs and MLB leader in RBIs is back in front of both categories in the NL this year. Arenado’s 18 home runs were tied for the most in baseball entering play on Tuesday and his 48 RBIs were the best in the NL, second in MLB.